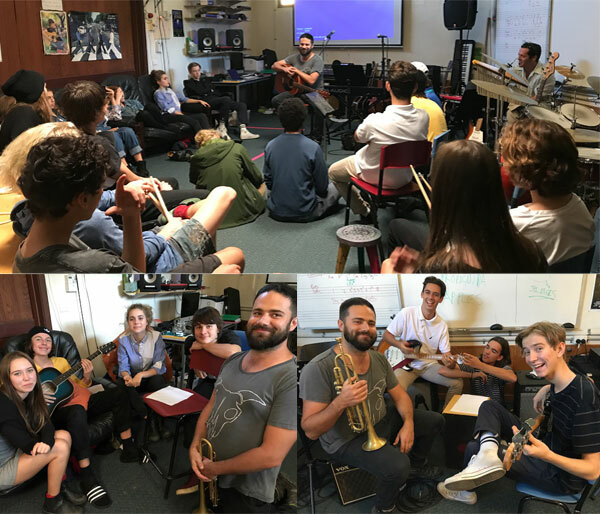 The Music students in our Year 9 and 10 Music Elective program were lucky enough to have Harry spend some time work-shopping songwriting and playing music with them. Harry is most well known for his role in The Cat Empire as the trumpet player and singer and has shared his knowledge and experiences with our students. Harry shared some great songwriting techniques and participating students wrote and shared their own short compositions.